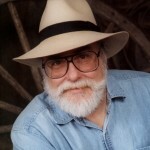 Author Jim Marrs joins us for our debut show on the Genesis Communications Network to discuss his latest release, Our Occulted History. Author of such well-known works as Rule By Secrecy and Rise of the Fourth Reich, Our Occulted History goes deeper into the unknown than any of his previous works and is destined to be not only controversial to some, but deeply thought-provoking to all. It will change the way you view the origins of mankind and the current state of society.